For the second installment of our series on Stylish Men throughout history (check out the first post on fashion inspired by Mick Jagger!) we’re going to cover the oh-so fabulous Freddie Mercury, of the legendary band Queen! Freddie Mercury did more than just sing lead vocals for Queen — he penned hits such as “Bohemian Rhapsody,” “We Are the Champions,” “Crazy Little Thing Called Love,” and “Killer Queen.” His 4-octave vocal range and flamboyant performances propelled him to super stardom and supported his solo career as well. Since his 1991 AIDS-related death, Mercury has ranked on several polls and lists as one of the greatest singers of all time. In addition to a beautiful voice and captivating stage shows, Freddie had a serious knack for style. Want to steal a little bit of Freddie Mercury’s rockstar style? Read on! Though Freddie himself might have passed away, his distinctive style lives on, influencing the likes of Lady Gaga, Adam Lambert, and even Katy Perry’s stage personas. Mercury’s outfits were anything but subtle. He liked wearing things like suspenders, elaborately embellished jackets, fancy hats, colorful sneakers, and printed bodysuits. 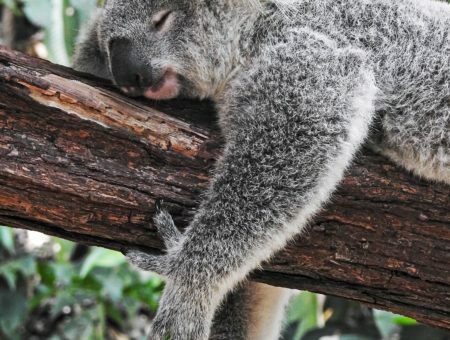 Seem a little loud for your liking? 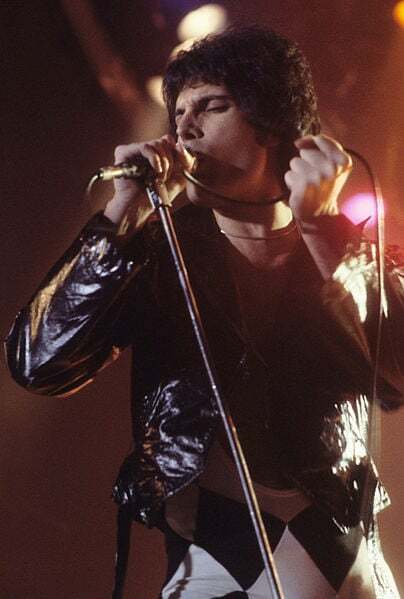 Check out the outfits below to get some of Freddie Mercury’s style in a more toned-down way. For this look, start with some tough leather pants — the ultimate staple for the lead singer of any band. Add a graphic cropped tee, badass fingerless biking gloves, and a printed scarf for a quirky touch. 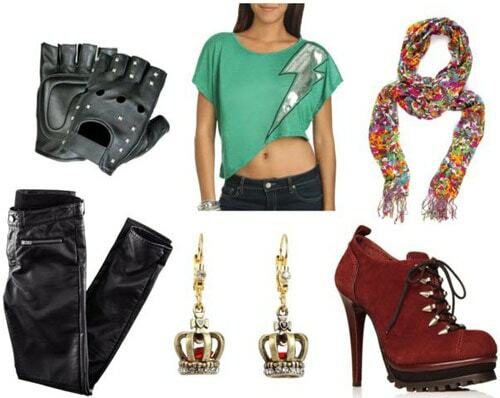 Finish the look with red booties and crown earrings, playing homage to Freddie’s “Queen” costume! Copy one of Mercury’s classic costumes by pairing light-washed striped jeans with a white tank top, belt, and suspenders. 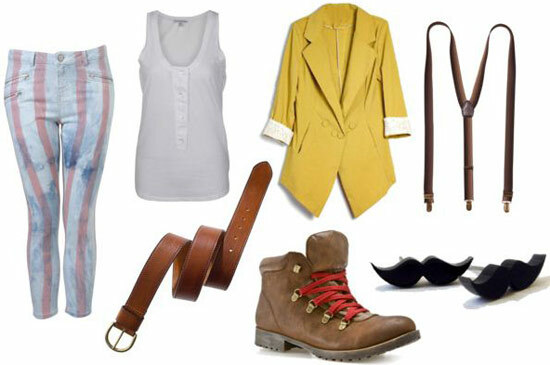 Finish the look with a yellow jacket, hiking boots, and cute mustache earrings, paying homage to Freddie’s signature look. Crave a causal look that still channels Freddie Mercury? Rock a skinny pair of light-washed jeans and a fun graphic t-shirt. Add a flamboyant jacket to get in touch with your inner rockstar. Finish with a pair of aviators, pumped up kicks, and a “killer queen” ring! Do you listen to music by Queen? What is your favorite song? What do you think of Freddie’s style? What other stylish men would you like to see CF cover? Leave us a comment and tell us what you think!! !